Famous For: Being widely considered one of the greatest boxers of all time. Eight division world champion, the first to ever accomplish the feat, Filipino boxer Manny Pacquiao was named “Fighter of the Decade” in 2009. A southpaw, Pacquiao’s record is an impressive 54-5 with 2 draws. This is one fighter who has received more than his share of nicknames that include: Pac Man, The Nation’s Fist, Destroyer, Mexicutioner and the list goes on. Joseph William “Smokin Joe” Frazier was proclaimed the “undisputed World Heavyweight Champion” in boxing in 1970. In the 1964 Tokyo summer Olympics, Frazier won the gold medal in the heavyweight division. As a professional, Smokin Joe had 32 wins and 4 losses, twice each to Ali and Foreman. Considered as Mexico’s greatest fighter, Julio Cesar Chavez is remembered for his punching power, relentless attack against his opponents, and his ability to take the punches. As a Chavez had 107 wins to go with being crowned six times as world champion in the Super Featherweight, Lightweight, and Light Welterweight divisions. Another southpaw, Victor Ortiz’s fighting record is 29 wins, 4 losses, and 3 draws. In 2011, he won the WBC welterweight title against Andre Berto. He us rated eligible to fight in the welterweight, light welterweight, and light middleweight divisions. Current WBO welterweight champion Timothy Bradley is just getting started in his boxing career. To date, he has won 31 fights with no losses. He won the welterweight title against then champion Manny Pacquiao. As boxing’s World Heavyweight champion for twelve years, of the 70 fights Joe Louis fought, he only experienced three losses, winning 66. Of that victories, he won 52 by knockout. He is viewed as one of the greatest heavyweight boxers of all time. He had reach of 76″. He was nicknamed the Brown Bomber. 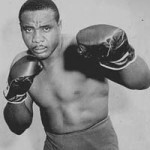 One of the most controversial boxers of his time, Sonny Liston had a record of 50 wins and four losses. 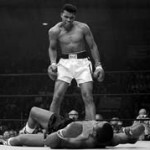 He was in the heavyweight division and in 1962 was crowned the World Heavyweight Champion. His most memorable fights were those against Floyd Patterson and Cassius Clay (Muhammad Ali), whom he each fought two times. LaMotta has been given the nickname of “Raging Bull” and “Bronx Bull” for his bully style of fighting in the ring. As a middleweight and light heavyweight boxer, Jake fought a total of 106 times, winning 93 of those. His storied rivalry against Sugar Ray Robinson, they fought six times, the last had been labeled as boxings version of the “Valentine’s Day Massacre” in which LaMotta was out-boxed, out punched by Robinson, but never knocked down. As a professional boxer, Shane Mosley has a record of 47 wins and 8 losses. 39 of those wins came via knockout. He held world titles as a Lightweight, Welterweight, and Light Middleweight. As an amateur, Mosley’s official record was 230 wins and twelve losses. The Easton Assassin, this was how former WBC Heavyweight champion was known. He grew up in the city of Easton in Pennsylvania. He reigned as boxing champion from 1978 through 1983. His record as a professional boxer was 69-6. Marvelous, that is what Marvin Hagler is known as. 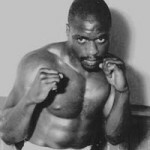 He is a southpaw (left-handed) boxer that fought in the Middleweight division, he has hailed the undisputed World Middleweight Champion over a seven year period, 1980 to 1987. He was involved in 67 fights and won 62. His knockout percentage is the highest among middleweight champions, of the 62 fights he won, he knocked out 52 of his opponents, giving him a 78% knockouts.